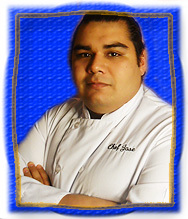 Chef Jose earned his Culinary Arts and Hospitality and Restaurant Management degree at Le Cordon Bleu in Pasadena in 2010. He has loved cooking since he was 7 years old, and from then on he knew he wanted to be a chef. He specializes in American, Mexican/Spanish, Italian,Thai, Japanese and Soul Food, including French and Mexican Pastries. His experiences include Catering, Personal Chef Instructor and teaching an after school cooking class for underprivileged kids in Compton, Ca. Chef Jose is knowledgeable and a enthusiastic instructor who wants to share his passion in cooking with tomorrows top chefs. For more summer workshops in the culinary arts visit our Cooking Camp! !